Do you live in the country with a lot of property? There are many things you can typically do when out in the country that you cannot do in the city. A burn barrel is a good example. If you want to use one of these on your property, then consider customizing it to look like a wishing well. 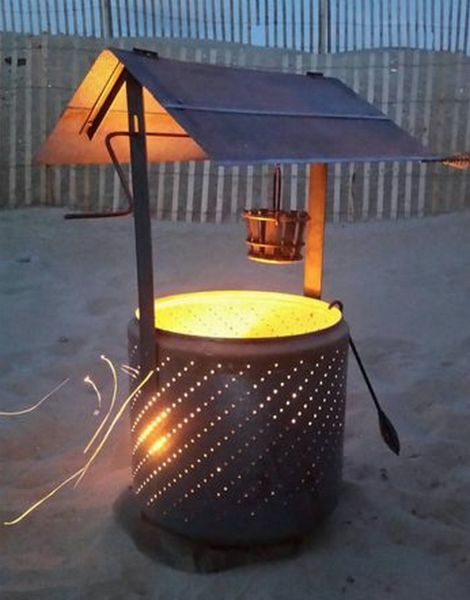 Making a burn barrel look like a wishing well is not a difficult task. All you need to do is find all of the materials you will need for the project. A washing mashing tub can be used for the barrel. This means a broken washing machine does not need to be taken to the dump. The best part of making your own wishing well burn barrel is all the pieces will be removable. You can use your barrel anywhere you can transport it. Nuts and bolts are used to attach all the pieces.